There's nothing as exquisitely pleasing to the senses as walking into a room that delights your senses. The nose is a highly trained receptor. It can awaken you, calm, relax and change your mood. Train it to bring out the positive in you through aromatherapy. 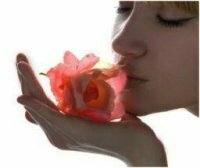 Entice your nose to the right scents and uplift yourself above the monotony of everyday life. Being a woman at the perfect age to realize my childhood daydreams, I am considering the idea of marriage with enthusiasm. Marriage for us women is a big deal, it only happens once (hopefully! : P) and must be unique, distinctive and innovative. Recently I read an interesting article which was talking about organizing a memorable wedding for yourself and your guests and at the same time respecting nature. A “Green” wedding with natural elements that contribute less to environmental pollution.